REMOVING YOUR RUBBISH QUICKLY AND EASILY! We pride ourselves on our customer service. 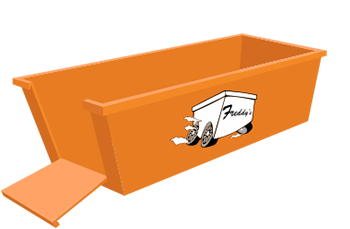 We deliver and pick up on time and most importantly, we provide the right skip bin size at an affordable price. Click the link below and get your free quote today. 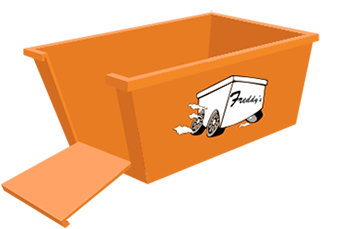 Freddy’s Skip Bins can supply 2m3, 3m3, 4m3, 5m3, 6m3 and 9m3 bins to suburbs in Inner West Sydney, St George, Sutherland and Eastern Suburbs. 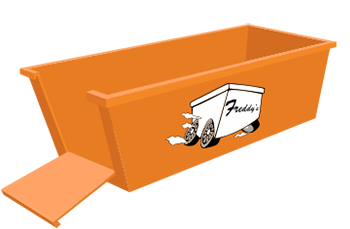 We provide a hassle-free rubbish removal service, it doesn’t matter if you are doing a spring clean, commercial office clean, home renovation or large scale disposal, you can count on Freddy’s Skip Bins for fast and easy service, backed by years of experience and affordable prices. We know it can be difficult estimating the best skip bin size for your particular job. Our friendly staff are on standby to assist and can provide guidance based on years of experience in the skip bin industry. We stock a complete range of 2m³, 3m³, 4m³, 5m³, 6m³ and 9m³ bins. 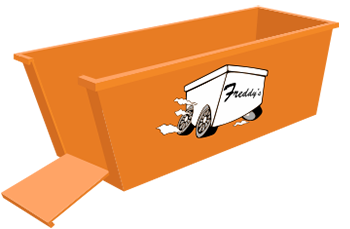 WHY CHOOSE FREDDY’S SKIP BINS? 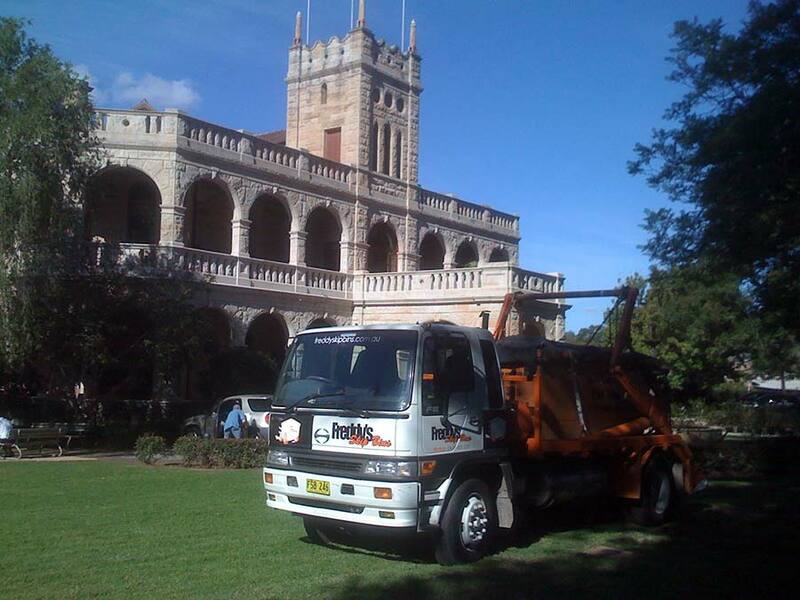 We are your complete rubbish removal service for Inner West Sydney Homes, Commercial Buildings, Businesses and Construction Sites. 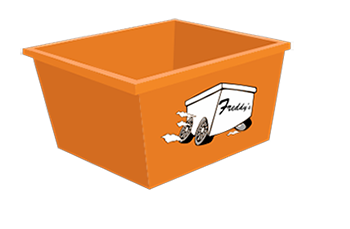 Here are just some of the reasons why you should choose Freddy’s Skip Bins. Bin size, location and waste type is all we need to get you a quote. Our head office is located in Greenacre within the Inner West Sydney. We can provide Same Day Delivery so you can meet your important deadlines. Our professional drivers are skilled at navigating tight accesses. Our large range includes skip bins with handy wheelbarrow access. We process all waste with the aim of recycling as much as possible. All of our bins are the ‘real deal’ genuine cubic metre sized for maximum load. Our friendly team provides terrific service at all times at very competitive rates. Has your home or business become a dumping ground for rubbish and junk? Can you remember when you had more free-space? It was nice wasn’t it! We have the solution you are looking for to clean up all of your unnecessary junk to get that free-space back. 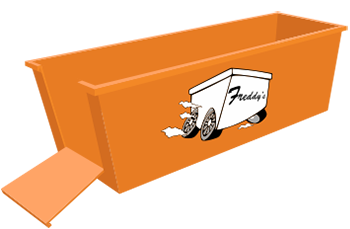 It doesn’t matter whether you are looking to perform a spring clean, general clean-out of your garage, a tidy up after a recent lease, or disposal of left over construction waste, you can count on Freddy’s Skip Bins to deliver you a seamless, convenient and value for money rubbish removal service. If you reside within Inner West Council, Waverley Council or Woollahra Council you won’t even need a council permit! We are already fully licenced by these councils – so no permit is required. For other suburbs please check out our Council Permits page. We take the time to do the little things right. We will provide you with a fast quote, use professional drivers to deliver and pickup on schedule (we even offer same day delivery if needed), offer very competitive pricing and never lose focus on providing quality customer service at all times.